Welcome to the Town of Hebron’s official web site. The town of Hebron has changed little over the past 100 years. Its picturesque farmland and heavily wooded terrain draws many people who want to live in the area and enjoy the simple, peaceful lifestyle that Hebron offers. Many of Hebron’s grand old homes are still occupied by the same families that lived in them generations ago. The area possesses the type of friendliness and stability that is so hard to find in today’s urban-oriented society. The citizens of Hebron are involved in their community and have made strides to preserve their heritage in the 21st century. Hebron has three active churches and many social organizations. Residents are proud of the Hebron Fire Company and the many activities they have. The Hebron Preservation Society is an active, non-profit organization that was formed in 1974 to gather and disseminate historical information about the town while appreciating and protecting its magnificent enviroment. In 1864 Hebron was the leading potato producer in Washington County as the area’s gently rolling hills and valleys were filled with farmland much as they are today. 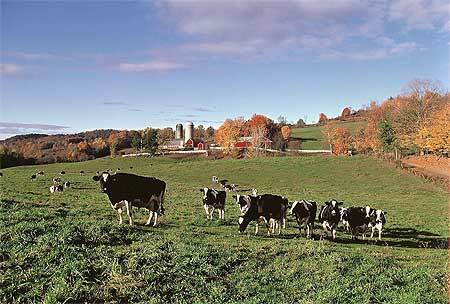 Presently, dairy farming lead the way in local agriculture. The only general store that is left is Bedlam Corners Store in West Hebron. It is a great place to stop for an extremely delicious sub or any other snacks as you travel through Hebron. We hope you enjoy Hebron just as the many generations that have worked here to make it the place you will find today.